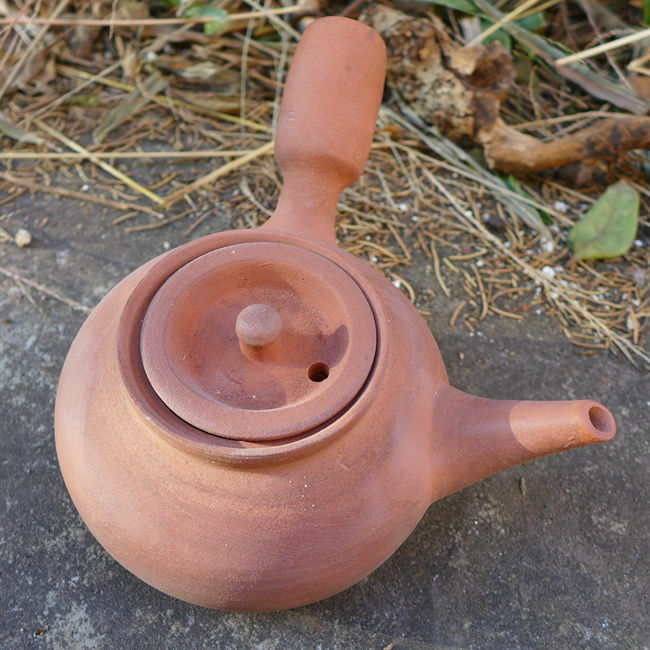 Clay pot for boiling water is one of four treasures in the Chaozhou (or Chaoshan) gongfu tea ceremony, with deep tea cultural connotation. "Sha Diao" commonly known as "Bo Guo Zi （薄锅仔）", is made of porous and sandy material - a kind of red clay from Chaozhou area. Boiled water in this pot is very very tasty. Please wash and soak it over 24 hours in water before using it at the first time. The pot should be used gently to avoid collision. Pour clean water inside 10-20 minute before using everytime. Do not put cold water into empty pot afire. Keep 1/3 hot water inside and put new cold water. The pot should be moved away from the fire, then add water. Never put empty pot on hot stove! All teapots we offer are made by Chaozhou specialist. If you will use it carefully and cherish it properly, pot can be used for a long time. Used stove and pot to boil water requires patience. Need two or more hours. Do not rush and enjoy the good tea time! This clay pot can be ship only by air.